For some reason it took until 6 months ago for us to finally try tapas, and boy were we missing out! So many choices, so much flavour and the joy of mixing and matching. This, however, is our favourite tapas dish and it is so insanely easy, yet as rich and voluptuous side dish as there can be! Don’t feel limited to tapas too – this would work as a side or starter too! Don’t skimp out on the red wine, either. You want a decent amount of sauce at the end, so really use around twice as much wine as you want to end up with. Fry the onions and garlic briefly until aromatic and slightly brown. 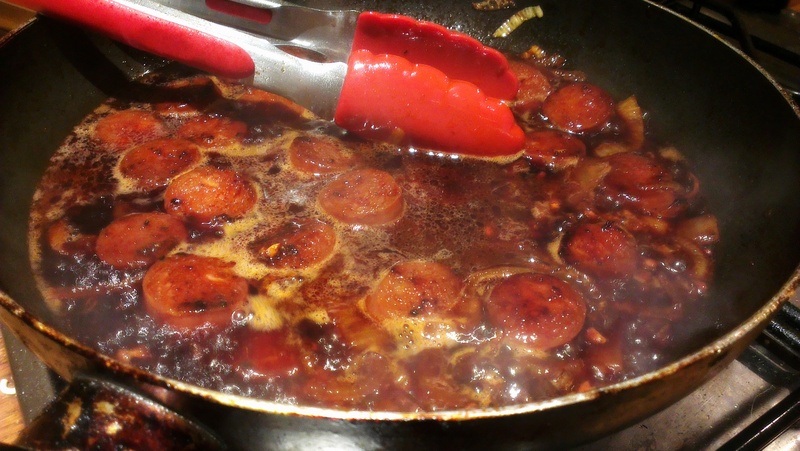 Add the chorizo, frying until it begins to seal and the oil is leaking out. 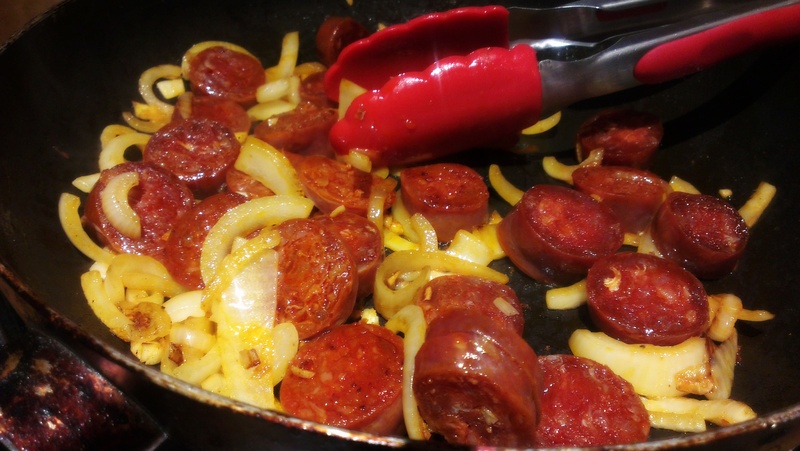 Pour in the wine until it comes to around half way up the Chorizo. Fry over a medium heat until it reduces to a nice, thick sauce. 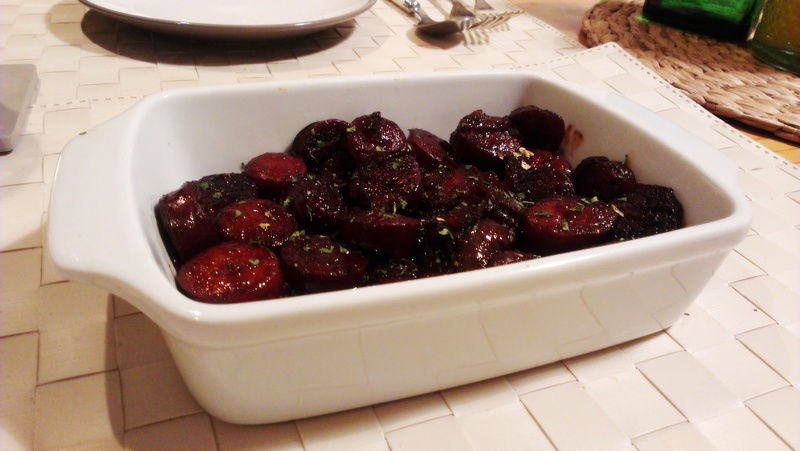 Serve in a small dish with some Parsley or Oregano sprinkled over the top ready for people to spoon onto their plates. Don’t store this. Eat it. Honestly, what’s wrong with you? Any more tapas requests? Let us know below! 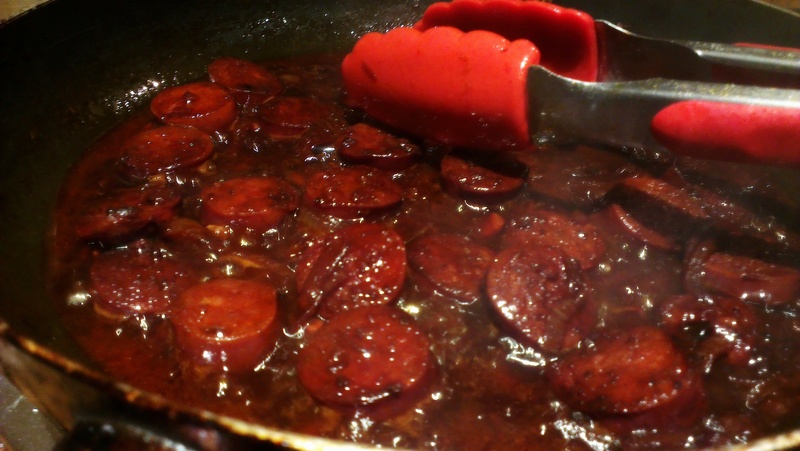 Posted in Guesscipes, One Pot, Pork, Sides and Snacks, Starters, UncategorizedTagged chorizo, cuban, recipe, red wine, side, spanish, starter, tapasBookmark the permalink.